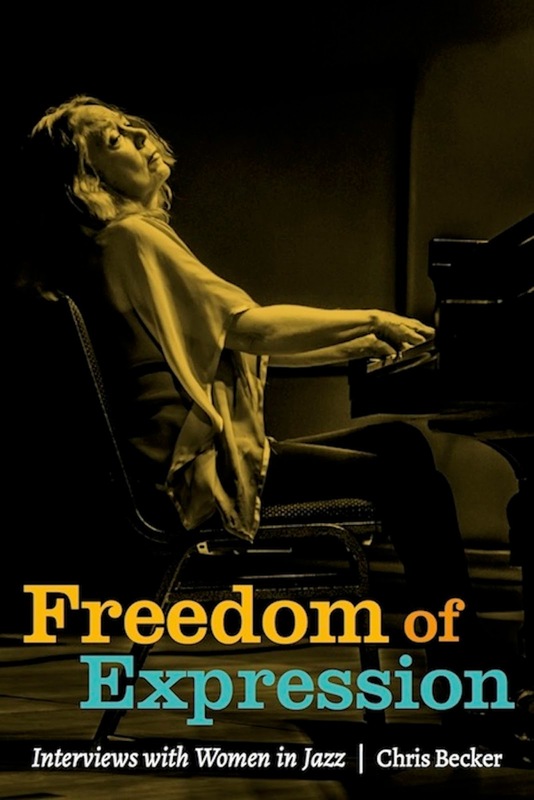 It is Crothers who graces the front cover of my book Freedom of Expression: Interviews With Women In Jazz. (She is one of 37 musicians interviewed.) This powerful image of Crothers at the piano, all ten fingers on the keys, her head tilted back, perfectly captures the feeling of transcendence that comes from playing music, as well as the sacrifices necessary to achieve such a state of grace. Not surprisingly, the image has resonated with many women, as it conveys the struggles and triumphs uniquely experienced by women in jazz. The cover’s gold, rose, and turquoise colors were inspired by the stained glass windows of artist Henri Matisse’s Chapelle du Rosaire de Vence. For many of us, music is our religion; dogma doesn’t work when your craft requires you to be open and receptive to influences and inspiration from the past and the present, and to play in response to what’s in your heart, not in your head. That's a pretty good description of the kind of spontaneous and freely improvised music Crothers played so masterfully, both as a soloist, and in collaboration with some of the great improvisers of our time. This is music that is the opposite of walls, borders, paranoia, prejudice, and hate. In fact, Crothers equated freedom with truth plus beauty plus love, with love being an ever-present and wholly accessible source for musical and spiritual inspiration. I mention this to make it clear that Crothers was both an activist and a feminist. She was also a strong advocate for independent artists. In 1982, Crothers and drummer Max Roach co-founded the label New Artist Records when no label expressed interested in releasing an album of their duets. New Artist Records would later become a cooperative, with each artist contributing to its operating expenses and receiving 100 percent of their album sales. It is an excellent place to sample and purchase some incredible recordings by Crothers, including the aforementioned album of duets with Max Roach titled Swish and her epic live solo piano recording Concert in Paris. “For many years, the jazz world was sort of divided into groups. . . . there was a kind of division between the free improvisers and the jazz musicians who played tunes, as well as other divisions based on other considerations. But now we’re moving into a new era. I feel that is already underway . . . I call it a jazz renaissance. And I’ll just leave it at that for now. Connie, we love you madly. You bet, Jan. Thank YOU.